Original member of the award-winning K-Pop boy band Got7 along with JB, Jackson Wang, Park Jin-Young, Choi Youngjae, BamBam and Kim Yugyeom. 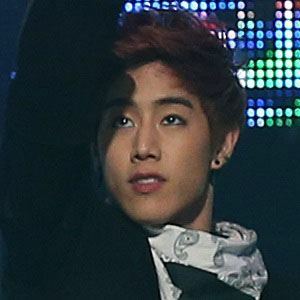 He and Got7 debuted their single "Girls Girls Girls" on January 16, 2014 through Mnet's M! Countdown. He was originally scouted by JYP entertainment. He appeared on the television program Who is Next: WIN. His parents are Raymond and Dorine Tuan and he has three siblings, Joey, Tammy, and Grace. He and Lu Han are both members of popular K-Pop bands.